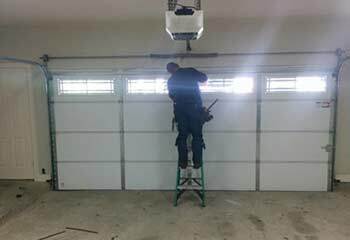 Our garage door experts have been working in this field for a very long time, and we've acquired a great wealth of knowledge to draw from. Check out some of our latest projects below. Customer Issue: A broken garage door spring prevented Mr. Satyr from being able to open his door and his car was trapped inside. Our Solution: To ensure Mr. Satyr wouldn’t be immobile, we carefully lifted the door and set it on ladders to allow him to drive his car out of his garage. 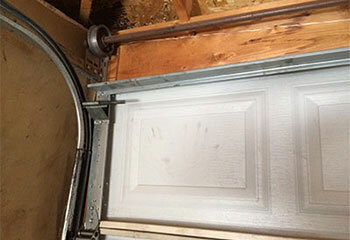 Then, after disconnected the damaged unit and replacing it with a new spring, we performed several tension adjustments and safety tests to ensure the garage door could work smoothly again. Our Solution: Fortunately enough, the problem was caused by misaligned sensors. We cleaned the safety eyes, then placed them into their original position and gave them a good tightening. We tested the system once again before leaving, to check we didn’t miss any issues the first time around. 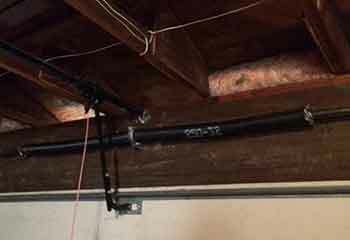 Customer Issue: Garage door track had become damaged by rust. Our Solution: We uninstalled the old rusty track and got rid of it safely. Afterwards, we installed a pristine track, and made sure that it was properly aligned. Finally, we checked the door to ensure it operated normally. Customer Issue: The customer wanted a garage opener with a higher horse-power than his current one. 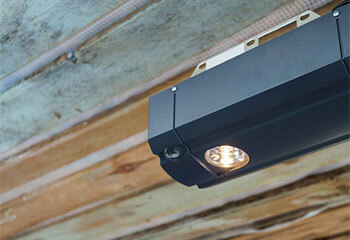 Our Solution: The customer already bought a Craftsman 54990 from another supplier and called us to help install it. We took out the old model Craftsman 54985 and installed the new one on the same day. 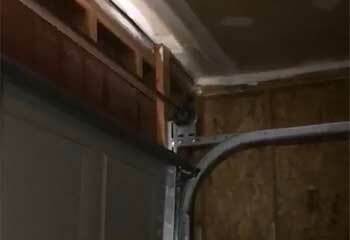 Customer Issue: Garage door springs had become frayed and needed to be replaced. Our Solution: We removed the frayed cable and replaced it with a new one of the same thickness. We also replaced the other cable too as it had started showing signs of damage. We were done in less than two hours.